During the late sixties, there were a series of rumors that Beatle Paul McCartney had died in a tragic accident in 1966 had since replaced by a talented look-alike called William Campbell. Such rumors had been originated by the fact that the Beatles had quit touring in ’66 and that their record covers and songs had a bunch of ‘clues’ about the bassist’s supposed death. 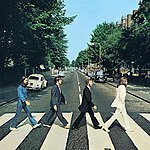 The hoax began when an American radio announcer noticed some of those ‘clues,’ such as the cover of Sgt Pepper’s Lonely Hearts’ Club Band (the front suggested a funeral; in the back, Paul had his back to the camera, and the words ‘without you’ from George’s “Within Without You” seemed highlighted). The whole thing sort of went out of control until McCartney finally granted Life magazine an interview in 1969 that finally revealed that he was alive and well, and the whole “Paul Is Dead” thing pretty much disappeared – though some insist that the man who wrote “Live and Let Die,” “Silly Love Songs” and “Maybe I’m Amazed” is an impostor. To add fire to the controversy, a new DVD entitled Paul McCartney Really Is Dead – The Last Testament of George Harrison (Highway 61 Entertainment) has recently hit the market. According to the press release, the offices received an envelope postmarked from London with no return address. Inside were two mini-cassettes and a player with tapes claiming to be George Harrison’s revelations that McCartney had indeed died in a car accident in the early hours of a cold November morning, and that the three remaining Beatles – plus an MI5 (the British equivalent of the CIA) agent identified as Maxwell – covered the whole thing up to avoid mass suicides from grieving fans in love with the cute Beatle. Whoever recorded those tapes does have a vocal similarity to Harrison, but there are glaring differences – for instance, George did not drop his ‘h’ sounds as this narrator does. Also there are several inconsistencies and chronological errors that add to the conspiracy theory – for instance, it is suggested that the album Rubber Soul was the first done after Paul’s death. However, any half-decent fan knows that the album came out in 1965, well before the so-called accident. The same is true about Revolver, which was released in mid-66, before that last concert in Candlestick Park. To make matters worse, “George” flubs the recording history of Abbey Road and Let It Be – he actually says Abbey Road was recorded before the Let It Be project – which is completely untrue. The worst part, however, is the hare-brained story of the ‘lovely’ girl who caused the accident. According to the story, McCartney offered a ride to a girl named Rita, and when she realized who her driver was, she went into hysterics. McCartney lost control, and the car hit a truck. Rita escaped and tried to find help, but then the car exploded, instantly killing its driver. When it was decided to cover the story up, the MI-5 gave the woman a new name… and that was Heather Mills, who would marry McCartney four decades later. 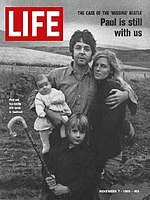 Never mind that the former Mrs. McCartney was born two years after the so-called accident. Paul McCartney Really Is Dead: The Last Testament makes for good entertainment. The collages were well made, and so were the music edits. The original soundtrack (composed by Wayne Peet) is actually very well-written,as it replicates the sound of the era without trying to sound like The Beatles (or the Stones). But it’s strictly a spoof, not history.